Filing Chapter 7? You Might Still Have to Pay toward Some of Your Debts - Hames Anderson Whitlow & O'Leary, Attorneys at Law, P.S. 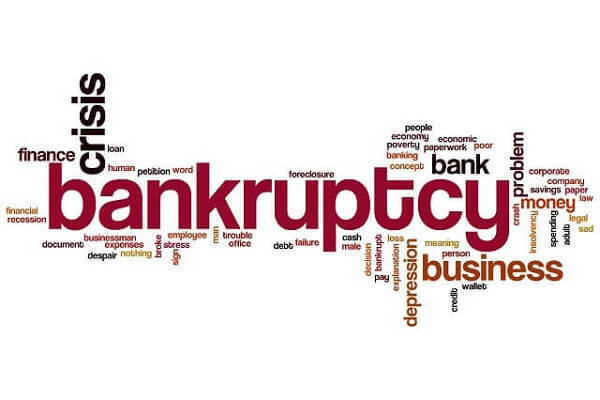 It is a common misconception that everything you owe is erased upon completion of a Chapter 7 bankruptcy. While many of your debts discharge, some debts do not go away – and failing to pay on those debts could result in further collection efforts. If you are considering Chapter 7 as your fresh start, you should be aware of those debts that might still apply and on which you are still required to make payments. Furthermore, you should consult a bankruptcy attorney. Sometimes, there are alternatives to Chapter 7 that still provide you with that fresh start and help you avoid further financial complications when you have too many debts that cannot be discharged in bankruptcy. You have decided to file for Chapter 7 bankruptcy. But before you put away your checkbook and stop your automatic drafts from the bank, you need to realize that some debts still require you to make payments; other debts will never discharge from bankruptcy, and a few could result in harsh collection efforts if you ignore them. You filed the petition for Chapter 7, and now you are in a holding pattern waiting for your court date or completing your financial counseling requirement. The debts listed in your petition all fall under protection, and you are not required to pay them while you wait for your case to proceed. However, what do you do when you receive a bill in the mail and your case is pending? Will that bill roll into the petition? Do you pay for it? Any debt acquired before the petition, and debt you have already listed in the request, does not require payment. Therefore, if you receive a bill from that creditor, you should contact your attorney and let them know that the creditor is still attempting to collect, despite the automatic stay issued. If you acquire the debt after the petition and your bankruptcy filing does not list it as a creditor, you are required to pay for it. For example, your utility bills or rent come in monthly. You will still need to pay those, despite being in the process of filing for bankruptcy. If you claimed your utility’s back-owed balance in bankruptcy, the part you have past due is dischargeable but your current bill still requires payment. Any time you are unsure as to what you should pay and don’t have to pay, speak with your attorney for clarification to avoid the issue. When you secured a loan, did you use collateral? If so, you have a secured debt that requires you to continue making payments unless your attorney says otherwise. Some secured debts discharge in bankruptcy, especially if you give the collateral back to the lender. However, if you intend to keep it, you must continue making payments or the lender will place a lien (which is their right) and foreclose on the property. Some debts will not discharge in bankruptcy. This means that, even if you successfully erase your debts, these do not go away and the lender will be able to collect after your bankruptcy completes. Debts that do not discharge in Chapter 7 are still subject to the automatic stay. Therefore, during your bankruptcy, lenders cannot collect or act against you, even if those debts are nondischargeable. These debts include federal and state taxes, student loans (secured through federal programs), government fines (such as court fines), and child support payments. While they will not be able to collect, you are encouraged to continue making payments so that the lender does not resume collections once the automatic stay lifts. While these debts do not discharge, priority payment rules might lower their balance and leave you with less to pay upon completion of your bankruptcy case. The court assigns a trustee to your bankruptcy case, and their job is to find ways to pay down debts before the remaining balances discharge. As an example, you owe $1,500 in arrears for child support. You also owe $3,000 in back federal taxes. The trustee forces you to sell your boat, which yields a profit of $10,000. Due to payment priority rules, he or she would apply that profit to tax and child support before paying dischargeable debts, such as credit cards. In this case, you would be caught up on payments with these lenders. And as long as you continue to make your monthly payments during and after bankruptcy, you should not experience collections after the automatic stay lifts. You have a mandatory meeting with the creditors as part of your bankruptcy process. During that meeting, a creditor has the right to challenge discharge. For example, a creditor challenges luxury goods purchased within 90 days of filing your petition. Luxury goods within a 90 day period are subject to challenge. And if the creditor challenges them, the courts will likely require you to pay them back. Likewise, if you were to take out loans and generate an enormous amount of debt within a month of filing for bankruptcy, the court might require that you make payments on those debts as well. The only way to avoid these successful challenges would be to show (with evidence) that you had the intention of repaying those debts but were unable to. Identifying which debts you must pay (or which you should at least try to pay) while you are already in financial stress can be difficult. An attorney knows the federal bankruptcy laws and can help you identify which debts remain your obligation post-Chapter 7. Likewise, they can help you explore your options, such as filing for Chapter 13 instead of Chapter 7. To explore your options and understand your rights when filing for bankruptcy, contact the attorneys at Hames, Anderson, Whitlow & O’Leary for a confidential consultation. Schedule your appointment at 509-586-7797 or request more information about our legal services online. Hames, Anderson, Whitlow & O’Leary, P.S. are Tri-Cities area attorneys dedicated to helping clients in difficult times. Hames, Anderson, Whitlow & O’Leary, P.S. © Copyright 2019 Hames Anderson Whitlow & O'Leary, Attorneys at Law, P.S.